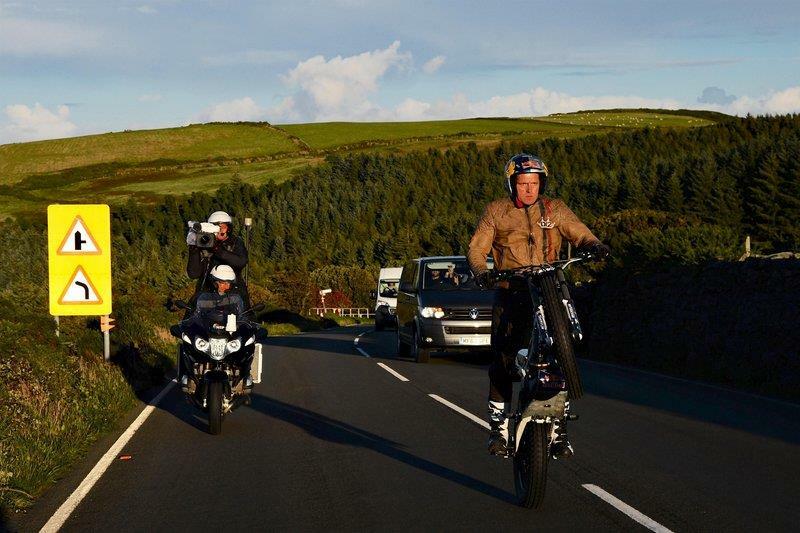 Trials ace Dougie Lampkin made history this evening as he completed a lap of the gruelling Isle of Man TT course on the back wheel of his trials bike. Becoming the first man to ever wheelie the entire 37.73-mile mountain course, Lampkin rode into the history books just 24 hours after the Isle of Man’s notorious weather forced the Yorkshireman and his Red Bull team to postpone the already tricky challenge. 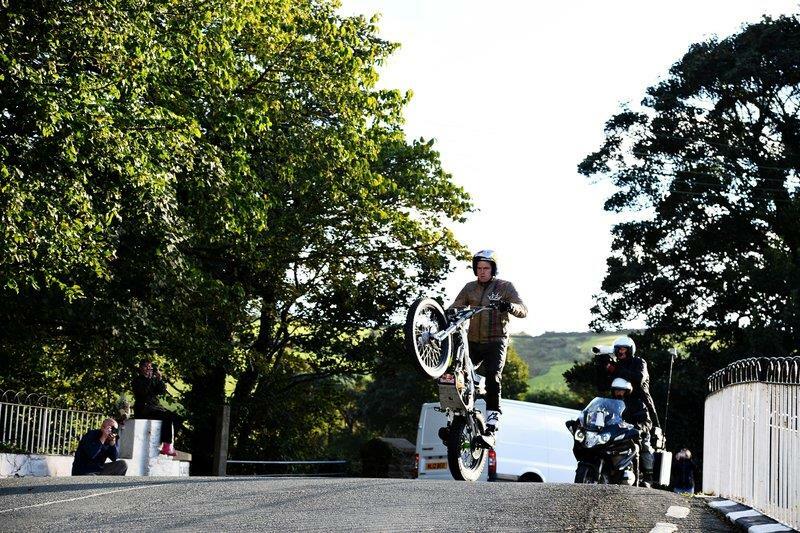 However, with cooler conditions gracing the island on Sunday evening, Lampkin set off down Bray Hill just after 5pm to navigate the course on the rear wheel of his modified Vertigo Ice Hell 300 trials bike. 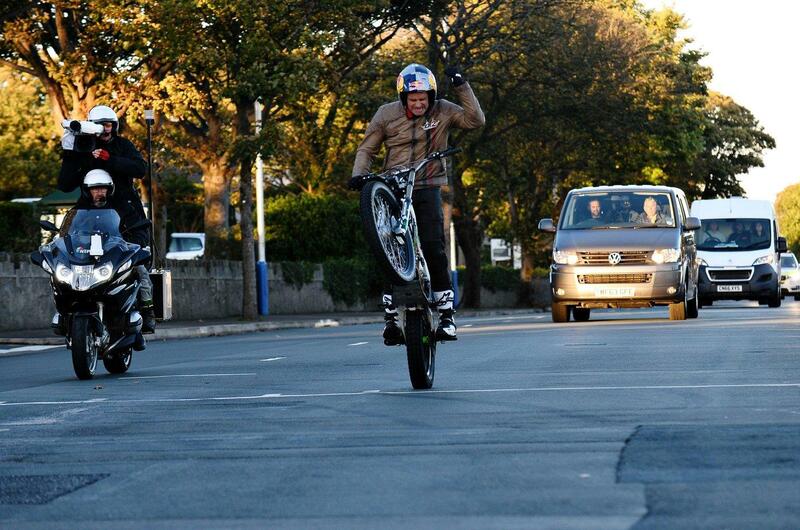 Lampkin was visibly in pain as he rolled back down Glencrutchery road just over an hour and a half later. “That’s right up there with getting ready to for the final round of a World Championship,” Lampkin told MCN when asked just how tough he found the challenge. “I’ve worked for seven months to make this happen and you have just one go to make it work. Adding to the 12-times world trials champion’s challenge was the fact that the Snaefell course wasn’t completely closed for his attempt. While he had the buffer of a rolling road-block, Lampkin also had to contend with traffic coming from other directions. Lampkins bike had been modified by his team to make the attempt possible, including adding footpegs to the bike’s rear axle, a second rear brake and an electric motor to keep the front wheel spinning for balance reasons. The attempt completed the work of 1970’s stunt rider Dave Taylor, who was the first man to attempt to wheelie the mountain course on a Yamaha XT500. Despite three attempts, Taylor didn’t quite manage the full course.